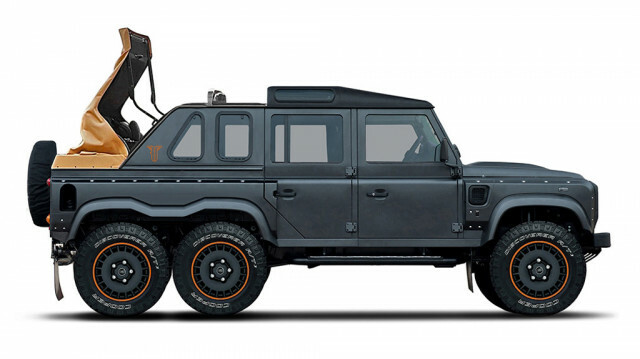 Depending on where you live, you’ll soon be able to purchase a Land Rover Defender with a V-8 engine, 6×6 drivetrain, and soft-top roof. British coachbuilder Kahn Design is taking its imposing Flying Huntsman 110 6×6 Double Cab Pickup and adding a Landaulet-style soft-top out the back. A single teaser sketch reveals the design of the vehicle which features a roof similar to the one on the Mercedes-Maybach G650 Landaulet. However, the Kahn is a 6×6 so is substantially bigger than the Maybach. It also looks much more menacing with its black paint and riveted body panels. Under the hood of the vehicle sits a 6.2-liter LS3 V-8 tuned to deliver 500 horsepower. Brake and suspension upgrades, plus an increase in vehicle width by almost 6.0 inches complete the engineering overhaul. Kahn plans to release more details on the vehicle in the coming months. A world debut will likely take place in March at the 2018 Geneva motor show. Alternatives to the Flying Huntsman 110 6×6 Double Cab Pickup Soft-Top include the aforementioned pickup body style as well as the original SUV body style. 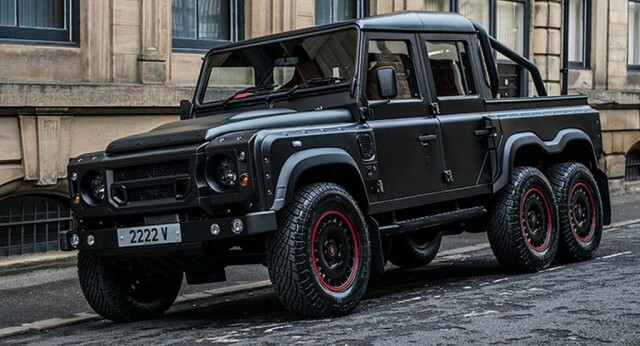 Kahn also offers its Defender-based Flying Huntsman models with a regular 4×4 drivetrain.